What is an adventure? Do you have in your circle of friends or relatives a person who has an adventurous spirit? Adventure is thrilling and out of ordinary experience. It can also be a courageous and often dangerous endeavour. Participating in a bold undertaking with an unpredictable outcome is also an adventure. To me, leaving my country and parents, so I can explore the world and experience new and exciting things, following my dreams gave me fear and excitement at the same time, this was my adventure. Engaging in extreme sports or any activities that have a possibility of physical danger such as skydiving, for example, is part of that adventurous spirit as well. They are people who just can not live without experiencing adventure and high level of adrenaline in their life. However, many other would prefer to live a safe life and would never engage in any risky activities with an uncertain outcome. I have a good friend of mine who is also a well-known dentist in San Francisco who loves to kitesurf, snowkiting and ski. He takes every opportunity to explore new kite spots, participate in all sort of competitions around the world some with extreme conditions. For those of you who don’t know kitesurfing and snowkiting are quite dangerous sports. But he likes his adrenaline pumped up to the maximum. To be adventurous also means to have the desire to explore and experience new things. Were the ancient sailors who had a goal to discover new lands adventurers? Yes, they were. Their trips were a pure adventure with an uncertain outcome. Speaking of sailors and traveling I remember the time when few friends and I were in Ocho Rios, Jamaica and decided to visit the famous waterfall Dunn’s River Falls. 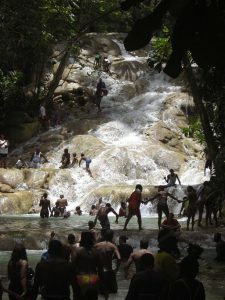 Dunns’ River Falls is a well-known place and climbing them is a favorite tourist activity. It takes about 1-1.5 hours to climb, which can be fairly hard, so people usually hold hands and forming something like a human chain. See the picture below. So two of us decided we will do it on our own. It was an astonishing experience! A little bit hard due to the uneven rocky terrain, and we were exhausted at the end. However if you are in a good shape, you will not have problems. Of course, they were many tourists that used the stairs alongside the falls but I don’t think you can experience the same feeling of climbing them. While this is not a dangerous activity, it was an adventure for us as it gave us a little fear in the beginning and lots of excitement. I still remember it and would have regretted if not doing it. 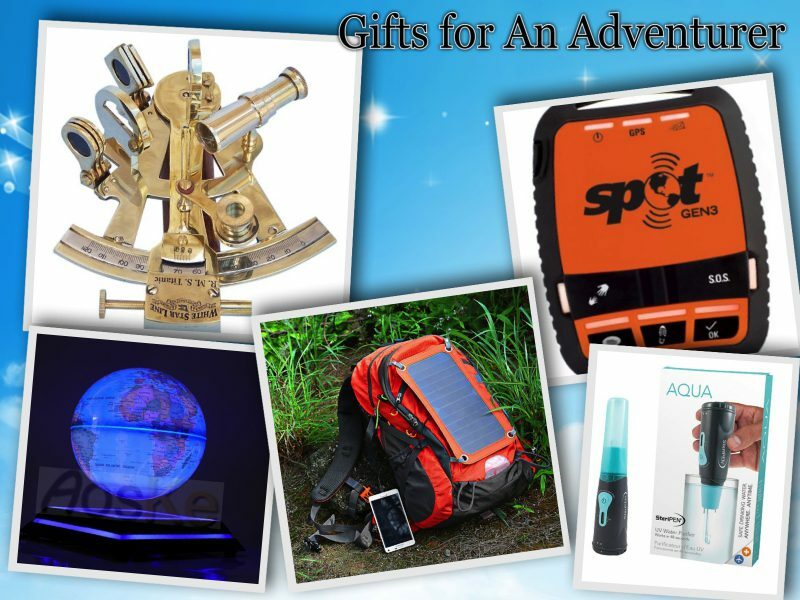 I am sure all of us have someone special in our life with an adventurous spirit and when there is an occasion, and you are looking for a gift for that adventurer we can help you pick a good one. Take a look at few interesting ideas. SteriPen provides UV Water treatment, and it is ideal for travel or home emergency kits. It lasts for up to 3,000 liters of water purification. 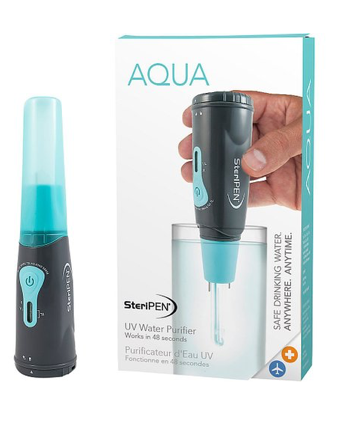 SteriPen Aqua is very economical, and you should rest assured of its quality as it carries the Water Quality Association’s Gold Seal. With less than 48 seconds, 99.9% of bacteria, viruses that cause water-borne illness are eliminated. I would take this while traveling to locations with questionable water quality like visiting the Dominican Republic for example. It is not a secret of the poor water quality there. Taking the SteriPen Aqua to outdoor trips is also a great way of using it and having it as a part of your emergency kit would give you a piece of mind. So there is no doubt that this is a useful gift that any adventurer would appreciate! 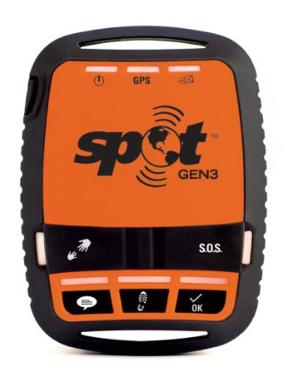 About four years ago SPOT released its third-generation unit, SPOT Gen3 Satellite GPS Messenger. It was broadly used during the 2014 and 2015 backpacking seasons. The Messenger is 4oz including batteries, square-shaped, 3,5 inch tall and wide, 1 inch deep. Worldwide coverage, via Globalstar satellite network. It does requires monthly or annual service plans. Who can benefit from having SPOT Gen3 Satellite GPS Messenger? Have you been to salmon and moose trips to remote parts of Alaska? People who have knows that there is no cell phone signal for many miles and those trips last few days sometimes more. Going for hiking trips to locations with little or no cell phone reception would give your loved one’s assurance that they will know your exact location and would hear from you if they need to. More uses of this GPS Messenger to name a few are ski trips, expeditions to remote areas or just backpacking in different countries without knowing well what the reception coverage there is. As you can see the adventurer by nature wouldn’t want to leave without his SPOT Gen3 Satellite GPS Messenger if he knows his family would want to stay tuned and assured of his well being. 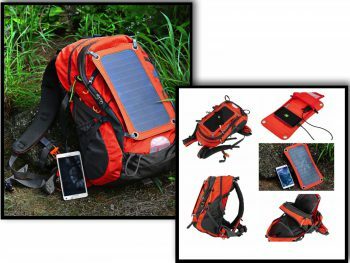 Includes 7 watts waterproof efficiency solar panel – 10000mAh Power Battery Pack, lightweight and powerful, it’s completely charged by the sun, or by an outlet in just 6 hours. The battery can charge full 3-4 mobile phones. Fully charge your iPhone in 3-4hours. 1.8 litres water bag inside. Stylish and durable with a detachable solar panel. Made with a unique trampoline suspension system that enables fresh airflow between your back and the backpack. The frame is built from strong Tisco manganese steel. Anyone who has been in a situation where you are powerless would value this great product. Perfect for traveling, climbing, backpacking, skiing, camping, or biking. Ideal gift for any outdoor activities really. Perfect gift for the sea adventurer, who would treasure this accurate wonderfully crafted replica of the one used on RMS Titanic White Star Lines’ sextants. A unique piece of interesting part of maritime history that will have a special place in any nautical collection for sure. The brass is also fully functional sextant and operates like a real navigation tool! 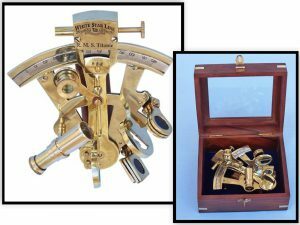 It has clear glass optics, polished body, and mechanisms and it comes with solid rosewood box to store the sextant. Beautiful nautical decor item which is fully functional too. 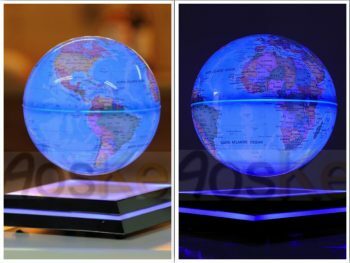 Levitating Globes are not a new product, but their fascinating design makes them a wonderful gift. The LED Floating Globe looks impressive when turned on in the dark. I think you can’t go wrong with this gift! I am confident that there won’t be any mistakes with choosing one of those five gifts for an adventurer. Share with us if you know someone who has and adventurous spirit or if you are the type of person who enjoys experiencing the unknown. What does adventure mean to you? Thanks so much for this helpful article. These ideas are great for what to get that someone who loves adventure! I had no idea that the SteriPen even existed, but that is a brilliant idea. I think that is a must have if you’re going on a trip with limited fresh water, or even just for homes in case of emergencies. Thanks again for finding these amazing products. You’ve made my life a lot easier! Thank you Davby! I am glad you liked the article. Many people don’t know that SteriPen exists. Happy that now you can enjoy it since you already know that it is available. Most Unique Gifts is an awesome site which clearly defines its roles and authority concerning the products offered. Visitors will love this site not only because of the great gifts offered but because of the way you have expressed clarity in what you are offering. I admire the layout of the articles and how you describe and present the information. Everything you have to offer here will gain visitors attraction. Thank you very much for your comment! I really appreciate your feedback and I hope more people will discover my site and enjoys it! I really enjoyed your very engaging Content. I believe, I am not too adventurous eventhough I really want to overcome my fears. For example, I missed an oportunity to go bunzie jumping. I hope to do it one Day. I believe we all need to take a little bit more risks in our lives and overcome our personal fears. Works in other areas in our lives too. Hi Oliver and thank you for stopping by and commenting! To be honest, I wouldn’t do bungee jumping either:) I have my limits. Going camping would be adventurous too! We don’t have to go all crazy to have our adrenaline little but pumped up! I was actually looking for some gift ideas of this type, so your post comes right at the perfect time. Hi Ashley, and thank you for your comments! I also love the globe! Ever since I saw it the first time! What a great idea! However, I really like the SteriPen. If I travel to places outside of the country with questionable water quality I would want to have it with me. Bulgarian Rose Oil and Why It Is The Best Rose Oil In The World.